Tim Gallagher grew up on a family sheep and beef farm in Taupo but has called Mid Canterbury home since the year 2000. School and university holidays were spent on a cropping farm at Lowcliffe in Mid Canterbury. After completing a B Com in Commercial Law and Business Management at Victoria University, Tim embarked on a prolonged OE. After three years in Canada and the USA doing agricultural contracting, he gained an internship with Ag-Research. He then moved to Germany to manage a broad-acre cropping operation. 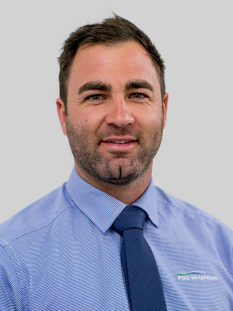 In 2014, he was successful in gaining a role with PGG Wrightson Dairy Livestock based in Mid Canterbury. His time in Livestock was productive and rewarding, and many lifelong relationships were formed. In 2017, Tim followed in his father’s footsteps and made the move from stock agent to real estate sales. Known for his honesty and integrity, he is motivated and results-driven, with a passion for the rural sector. For a no-obligation chat about buying or selling rural property, call today.